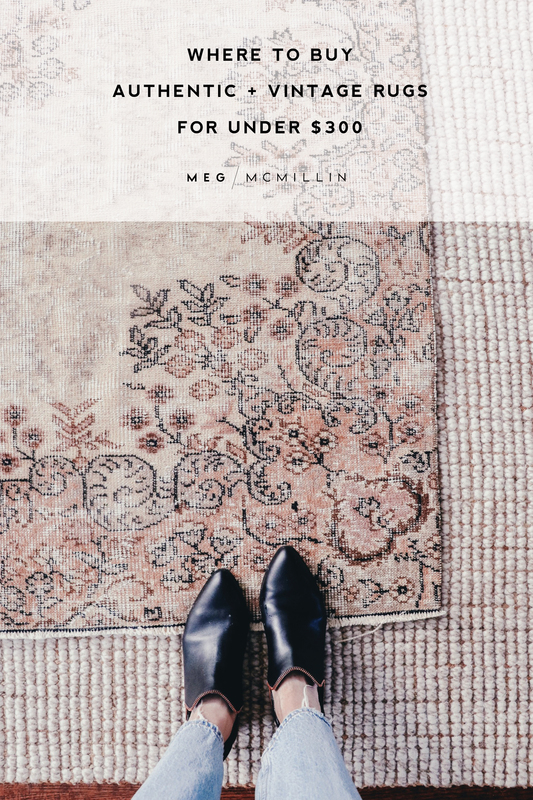 I paid $125 for this rug that is a little larger than 5’x8′ – and shipping was FREE! The jute rug beneath it is my mom’s from TJ MAXX sorry I can’t link the exact one but here is a similar one from West Elm. 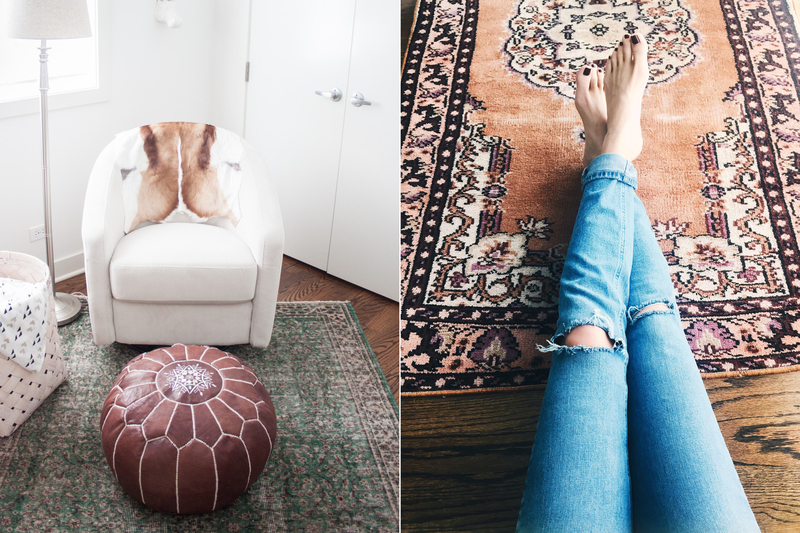 Welcome to the world of authentic vintage rugs you can actually afford! Does it infuriate anyone else that rugs are SO ridiculously expensive?! Like, we walk on them. Dogs pee on them. Kids barf on them. 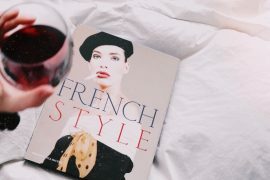 I spill my wine on them. Yet quality rugs cost more than most people’s rent. I’m into saving money wherever I can, so when I found this online vintage rug shop on eBay, I about died. I currently have three rugs from the e-carpet gallery eBay shop, and another one on the way. One of the three is in James nursery and I’m absolutely obsessed with it. The other one (shown below on the right) was in our old bedroom at the condo but I think I’m putting it in my office at the new house! 2 of the 4 rugs I’ve bought at the e-carpet gallery eBay store! I’m going to make this as easy as possible for you and fill you in on all the details. Keep scrolling for rugs I’m loving that are currently on sale in the shop + some more photos of my newest rug! I have never paid more than $150 for any of the rugs I’ve purchased from here. All of mine are in the 5’x8′ size range. I’ve always experienced fast + free shipping when shopping here. No issues with tracking or lost orders, no shipping fees, no arrival delays. All of my rugs have arrived within a week of my order date. Also, if you can return the rug for a full discount within 30 days if you don’t like it! The rugs in this eBay store are coming from the E-Carpet Gallery WEBSITE (much more expensive). They pass along the rugs that don’t sell to the eBay store and sell them quickly at a discounted price. So, these are last chance rugs and they go fast! You have to be ready to pull the trigger if you see something you like. A lot of these rugs look ugly while you’re quickly scrolling through. However, if you see one that is in the color palette you are looking for click on it and take a closer look! 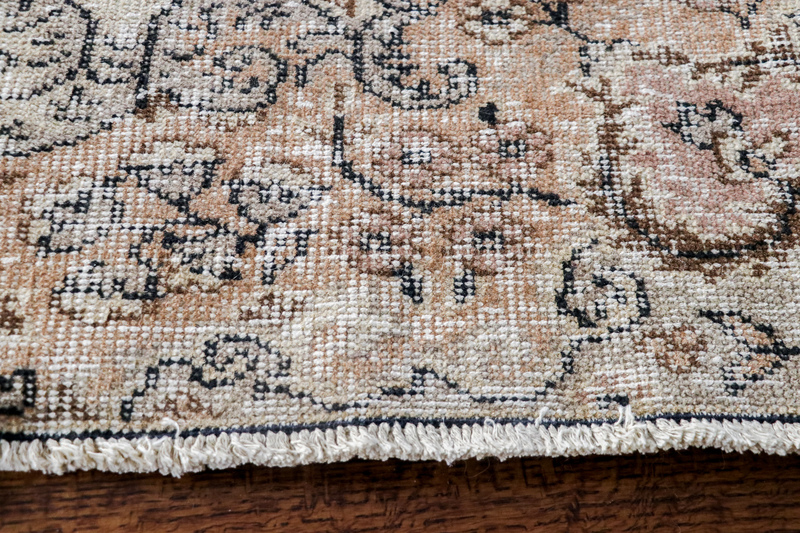 All of the rugs have 2 product photos: a zoomed out photo of the whole rug, and a zoomed in photo of the coloring and material up close. Look at every rug you think you might like! 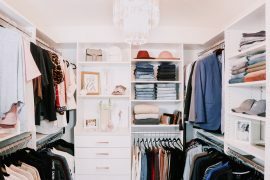 Pay close attention to the sizes and be sure to measure your space before purchasing. Since these are authentic one of a kind rugs, they don’t come in the cookie cutter 5×8, 8×10 (etc.) sizes that we are used to. 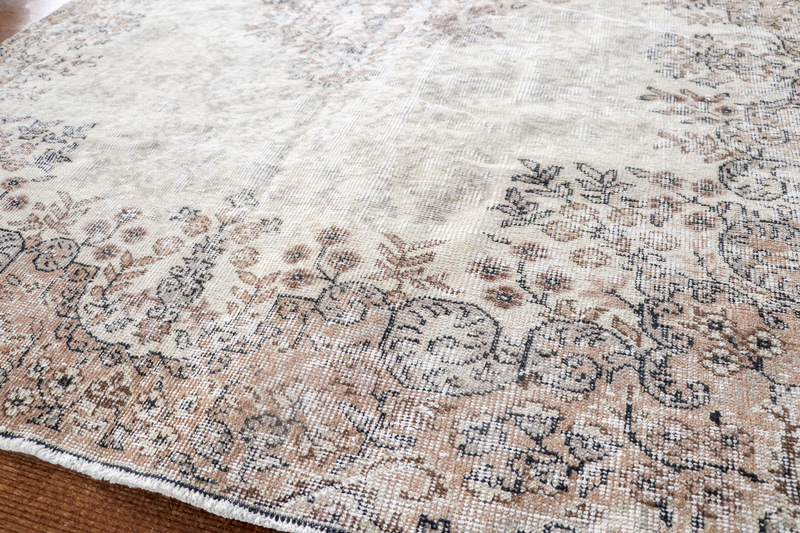 Also, don’t be afraid of the really distressed looking rugs – they look the best in real life. Think Soho House vibes. They look dingy and almost dirty online but in real life they look SO good. A friend of mine bought one that wasn’t distressed at all and she thought it looked too much like a grandma rug and returned it. 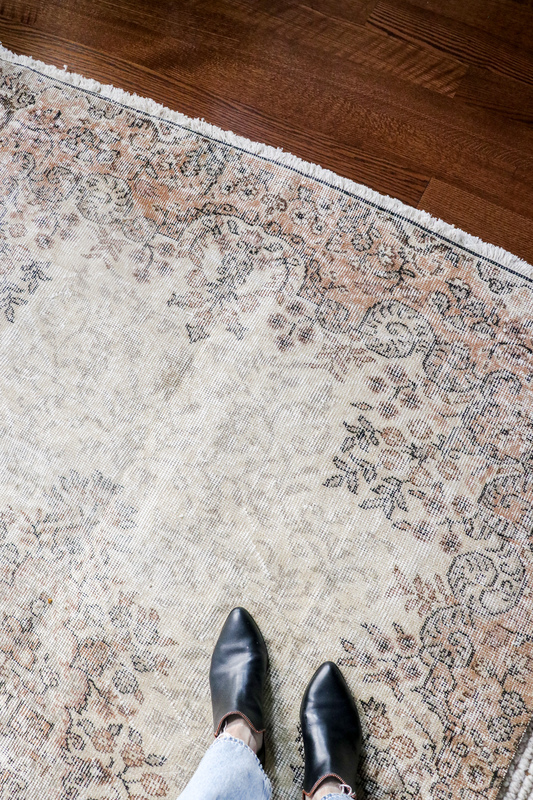 There is a fine line between cool-vintage and grandma-rug. And in my opinion, the distressed-ness is what makes or breaks it! Here are some rugs on sale right now that I’m loving – remember – only one available of each and they sell fast! Such beautiful rugs! What a good deal too. I agree with you that I wouldn’t shy away from the dirtier looking rugs. 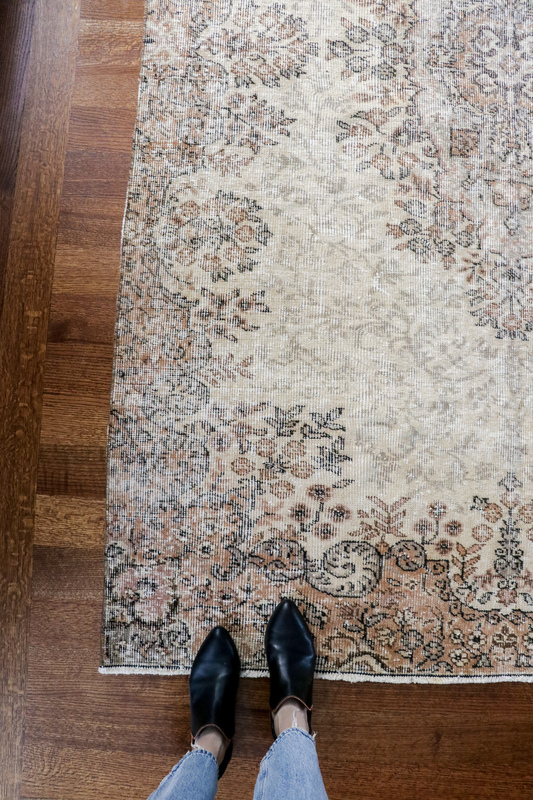 They tend to look more authentic, and if they really are dirty, a good area rug cleaner will be able to clean them without damaging them (we use Chem-Dry for all of our vintage rugs and they always come back looking great.) Thanks for sharing all of these! i love rugs like these, esp turkish ones but every shop I go to is insanely priced, i cannot believe these finds! I bought one from ebay how you suggested and the quality is so so good. i love that every rug is completely unique. THANK YOU!!! !